PLO decides to end security cooperation with Israel because it is withholding the PA's tax revenues. The Palestine Liberation Organization's (PLO) central council decided Thursday to end security cooperation with Israel, AFP reported. The PLO council decided "to stop security cooperation in all its forms with the occupying power" which it urged to "take over full responsibility for the Palestinian people in the occupied State of Palestine, the West Bank, east Jerusalem and Gaza". The PLO said its executive committee would meet to implement the decision taken by the central council which held a two-day meeting in Ramallah, without giving a date. The move, which Palestinian Authority (PA) chairman Mahmoud Abbas has threatened several times to carry out over the past few months, comes as a response to Israel’s decision to withhold the PA’s tax revenues. The funds are being held back from the PA in retaliation for its moves to join the International Criminal Court (ICC). The PA submitted a UN Security Council resolution in December - which was voted down - calling for Israeli withdrawal from Judea and Samaria within two years, and in January joined the International Criminal Court, where they plan to press for war crimes against Israel. Israel has in response frozen $127 million per month in tax revenues due the PA, rendering it unable to pay tens of thousands of employees and threatening its very existence. PLO central committee member Mustapha Barghouthi said its decisions were binding on the PA "because it was the PLO which created it (the Authority) and which signed the Oslo accords". The decision spells "the end of the Oslo period, which Israel destroyed", he told AFP. Israeli military sources, quoted on Army Radio, said security cooperation was still ongoing on Thursday night, but there was no immediate official reaction from the Jewish state, which is to hold a March 17 parliamentary election. 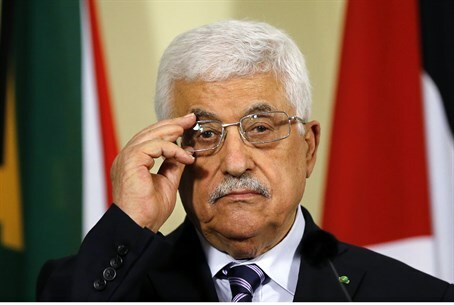 Abbas has several times threatened to cut the PA’s security coordination with Israel, the last time being before he submitted his unilateral bid to the UN. Secretary of State John Kerry recently warned that the U.S. fears that without a cash injection, the Palestinian Authority could collapse — entailing serious security implications for both Palestinians and Israelis.